The Wauseon High School Marching Indians earned a Superior rating Nov. 3 at the Ohio Music Education Association State Finals at Brunswick High School. This marks the first time the band has earned a Superior rating since 2010, only the third Superior rating for the band since it started competing. Band members earned superior ratings in all categories that make up the composite score, making it the strongest superior rating possible to earn. 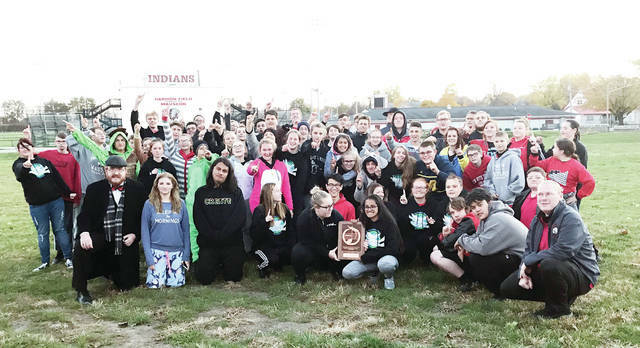 https://www.fcnews.org/wp-content/uploads/sites/45/2018/11/web1_WHS-band.jpgThe Wauseon High School Marching Indians earned a Superior rating Nov. 3 at the Ohio Music Education Association State Finals at Brunswick High School. This marks the first time the band has earned a Superior rating since 2010, only the third Superior rating for the band since it started competing. Band members earned superior ratings in all categories that make up the composite score, making it the strongest superior rating possible to earn.